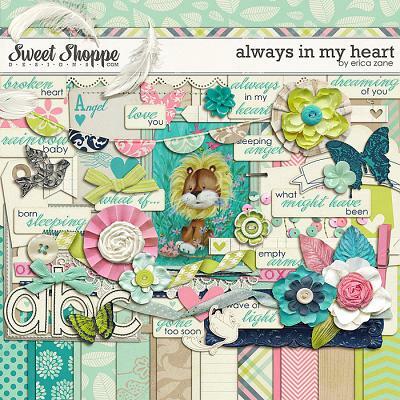 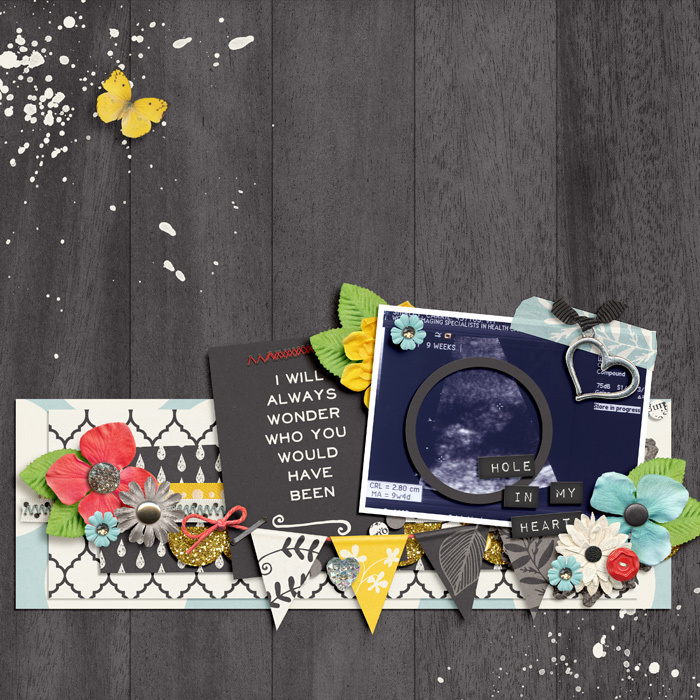 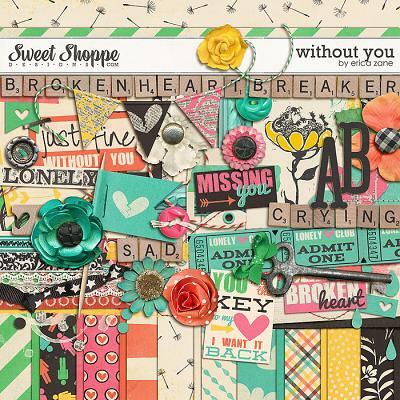 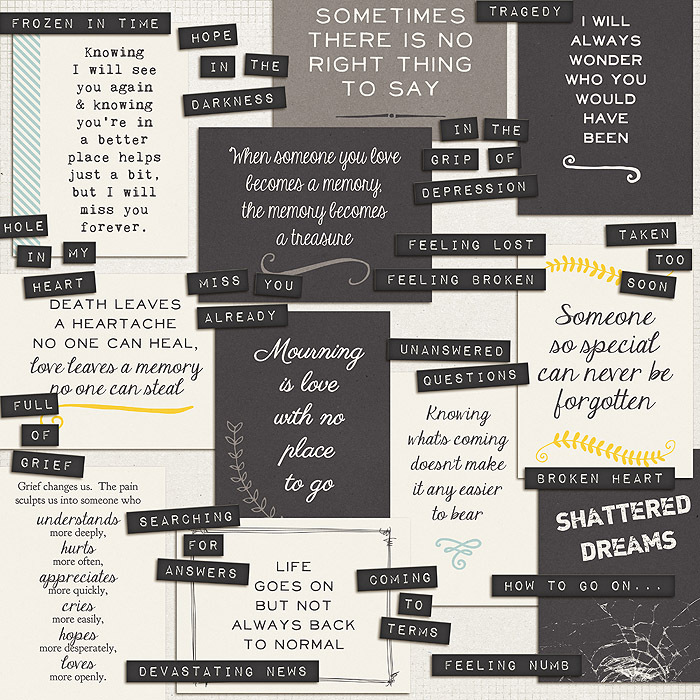 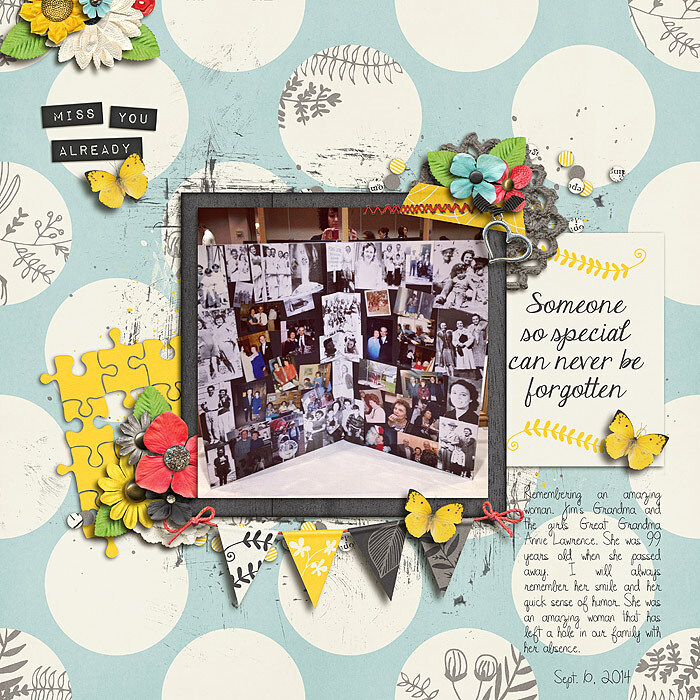 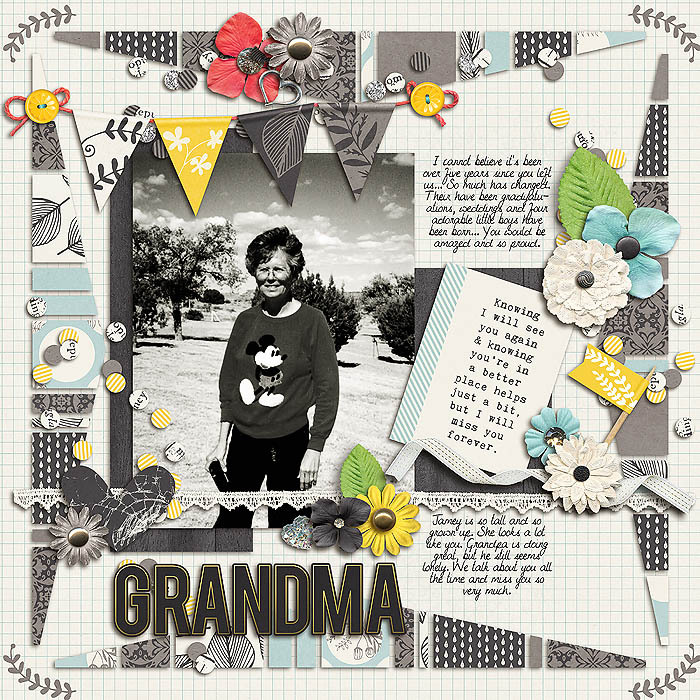 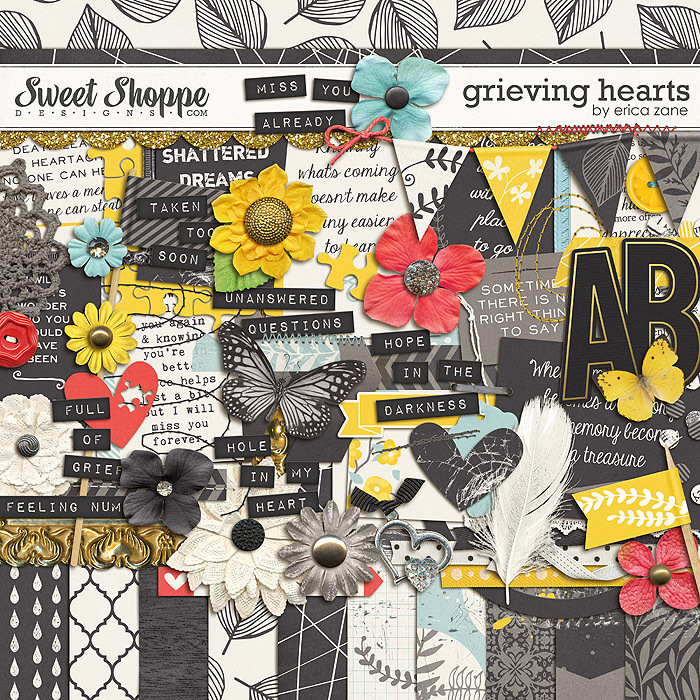 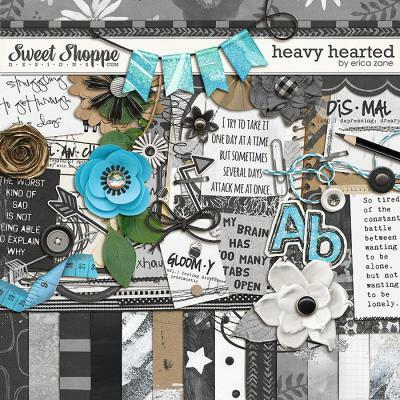 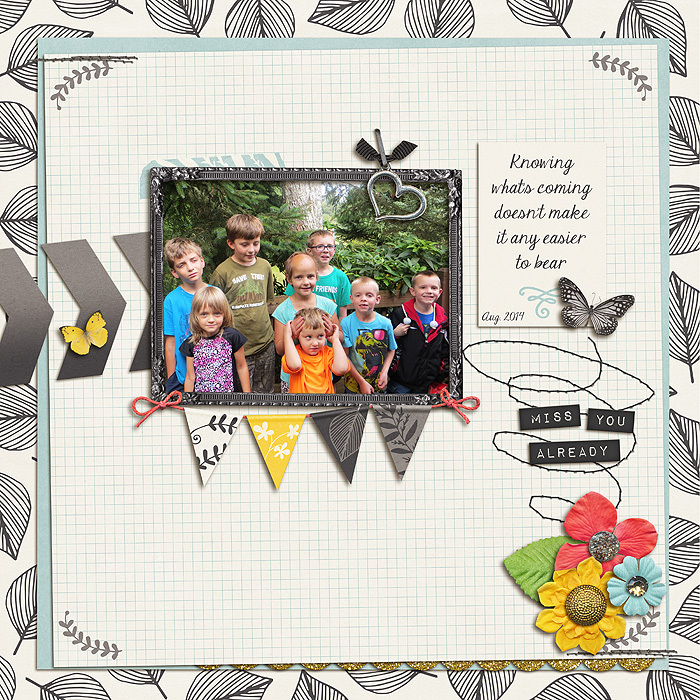 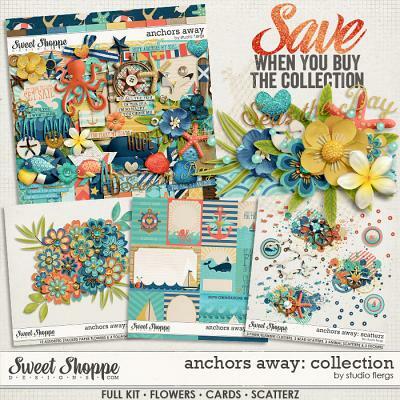 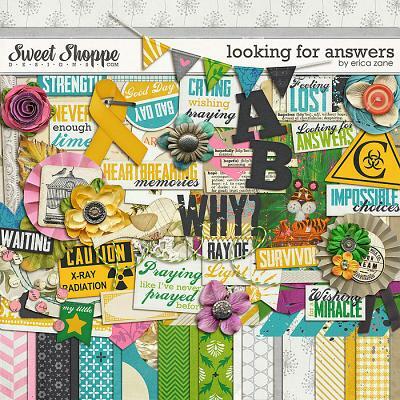 A digital scrapbooking kit by Erica Zane, Grieving Hearts is perfect for scrapping those sad moments in your life. 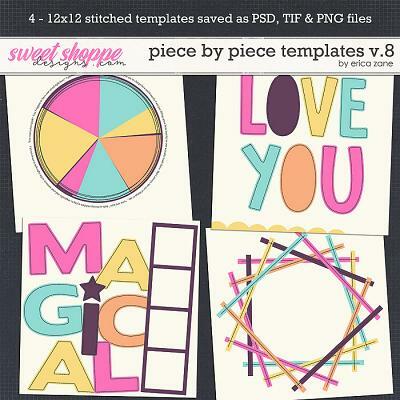 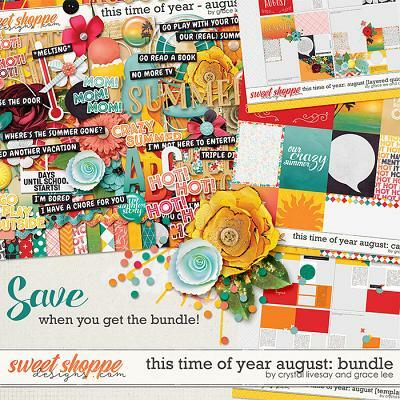 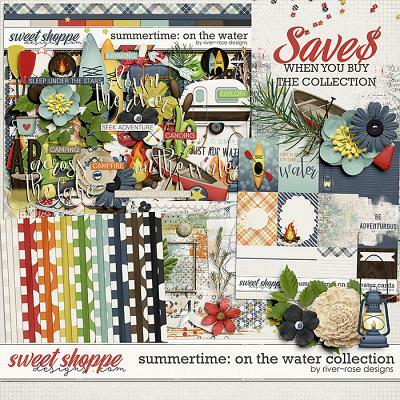 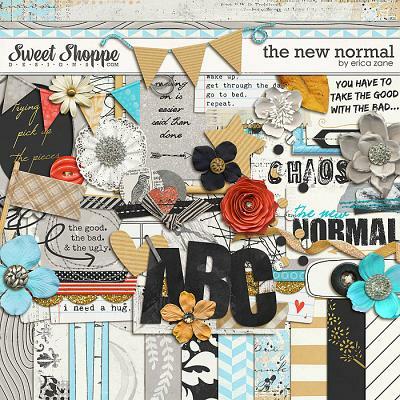 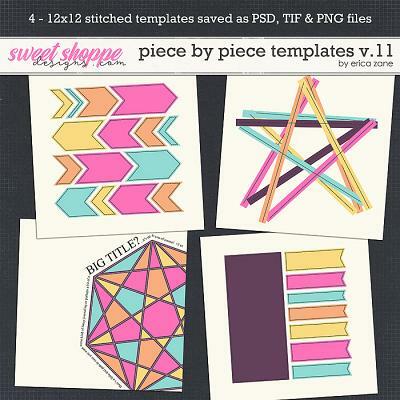 Packed with 14 digital scrapbook papers, more than 80 digital scrapbook elements and a digital scrapbook alphabet (saved as individual .png files). 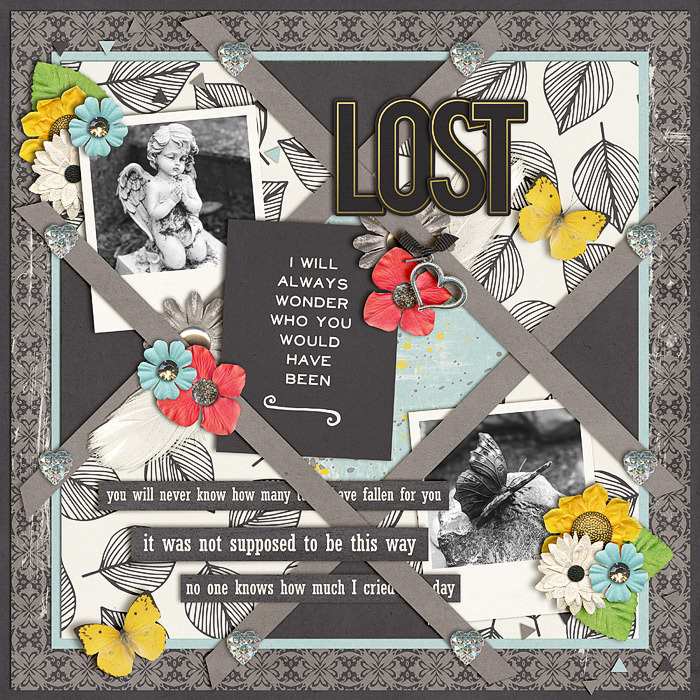 The elements include: 28 word art pieces, 10 flowers, 6 sets of stitches, 5 frames, 4 ribbons, 3 hearts, 3 paint spills, 3 pieces of tape, 2 journal cards, 2 banners, 2 butterflies, 2 buttons, 2 flags, puzzle pieces, piece of lace, arrow, feather, charm, leaf, scallop edge trim, chevron, doily, confetti, tag and a staple.